Originally created for the fuckthisjam gamejam in November 2012. Totally Accurate Toilet Simulator is an atmospheric game that totally accurately simulates the experience of sitting on a toilet. 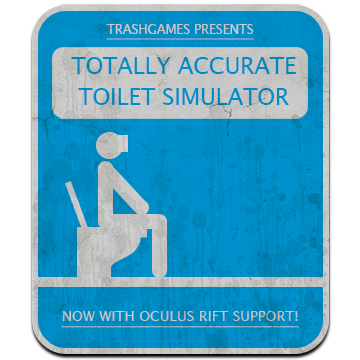 Now Totally Accurate Toilet Simulator has been updated with support for the Oculus Rift to bring you the Most Totally Accurate Virtual Reality Toilet Simulator ever!